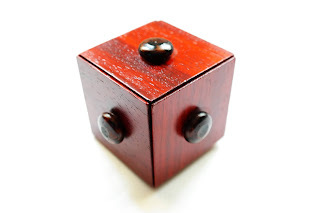 This is a clever and new type of puzzle made by Jean Claude Constantin, called the Diamant Cube. Yet another proof that he can pretty much do any type of puzzle and still make it a great design. At first sight, this is quite an intriguing design, because you can't clearly see its internal mechanism. 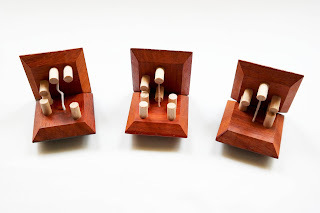 The cube is made by three pairs of pieces, each attached to the other by an elastic cord at opposing sides. The cord doesn't stretch much, which is a challenge since you have to take the cube apart. You need to work out, as much as you can from what you can actually see, which pieces you need to pull apart and rotate in order to remove the three pairs of pieces. Mind you, taking it apart is only part of the challenge, and the easier one for that matter. Putting it back together is much more difficult. Each of the six pieces looks identical on the outside, but the inside is very different for each one. Several cylindrical-shaped pieces (3 or 4 depending on the configuration) are glued to the inner side of each of the six main pieces. When solved, all 20 cylindrical pieces occupy the entire area of the inside of the cube. This requires a unique solution where all the cylindrical pieces fit perfectly with the empty spaces left by the others, and so on. As I said, this is a rather challenging puzzle, mainly because of the elastic cord, which barely stretches to a significant length so you can work comfortably with it. Many times I was afraid I was going to break it, but fortunately it seems the cord is pretty strong. You will find it even more stressful when you try to put it back to its cubic shape. It's as difficult to put the pieces in their position as it is to find the correct configuration to finally put it in a perfect cube. Despite it being a little confusing at first and a bit frustrating, especially the second part of the challenge, the Diamant Cube by Constantin is a fantastic puzzle and a refreshing idea that uses an unusual concept, although it's not new to use elastics in puzzles (the Brainstring is one that immediately pops into my mind). I can easily recommend this one if you're looking for something different that makes you think outside of the box (the cube, in this case). 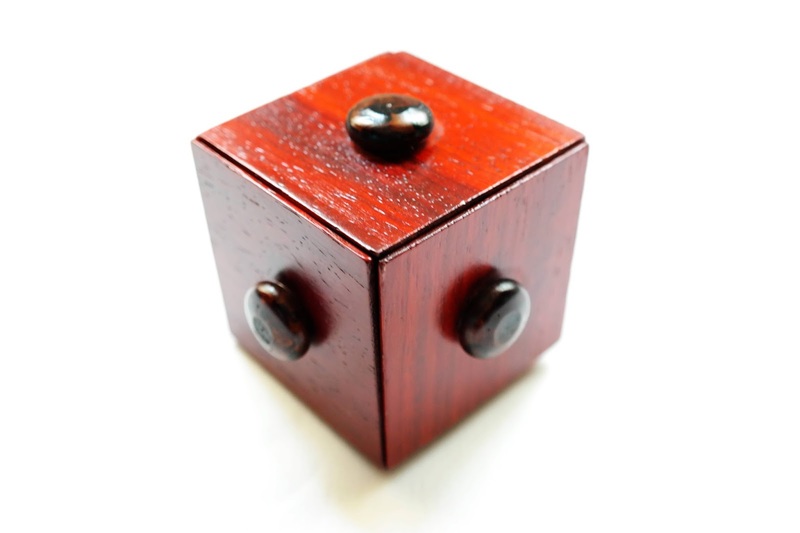 Availability: You can get a copy of the Diamant Cube at Brilliant Puzzles for $34.95 USD. You can also check out other interesting puzzles by Constantin.